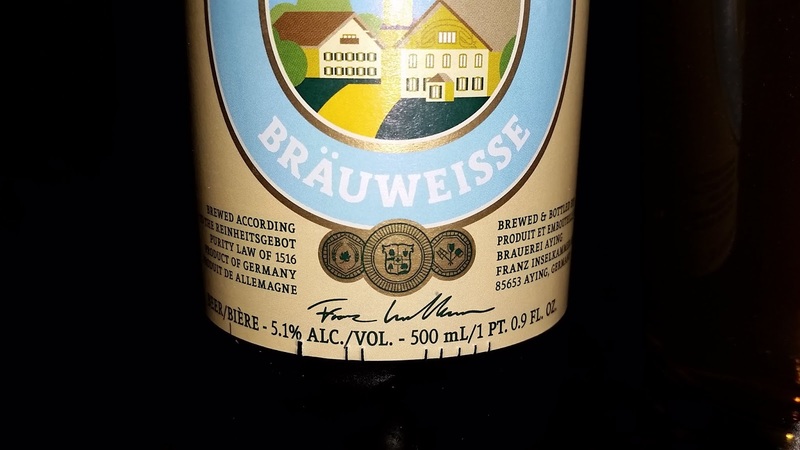 I had a bottle of Ayinger Brauweisse last June and it just wasn't my style. Ayinger Brauweisse. A close-up of the label. Actually, I drank some of it in the evening, and then drank some more the next day. As often happens after being opened, the beer lost its carbonation and became more mellow.